In this month's newsletter, you will find two of our more recent success stories, a summary of a successful Senior Center Initiative (SCI) with Congressman Mike Quiqley (D-5th), State Representative Kathleen Willis (D-77) and Zurich, an introduction to our 2018 Summer Interns, a recap of our 2nd Annual Summer Law Institute, and a pair of news items recognizing two of our outstanding attorneys, Thomas Wendt and Caroline Manley. The Johnson Family (name changed) came to CDEL for assistance with several related guardianship matters. Mr. Johnson had filed petitions to become guardian of his three adult children. A year before, all four of his children had been diagnosed with the same rare, progressive neurological disorder. His eldest child had already passed because the disease had progressed while they were trying to get a diagnosis. He was unsure how to proceed after filing the initial petition. CDEL filed appearances in all three cases and worked with the health care provider to obtain complete and accurate doctor's reports. Mr. Johnson was successfully appointed guardian of the person of all three children. He now can make sure they are getting the treatment that they need to treat this illness. helping her obtain refunds for unclaimed property tax exemptions totaling about $15,000 and investigating whether she may be a victim of financial exploitation. 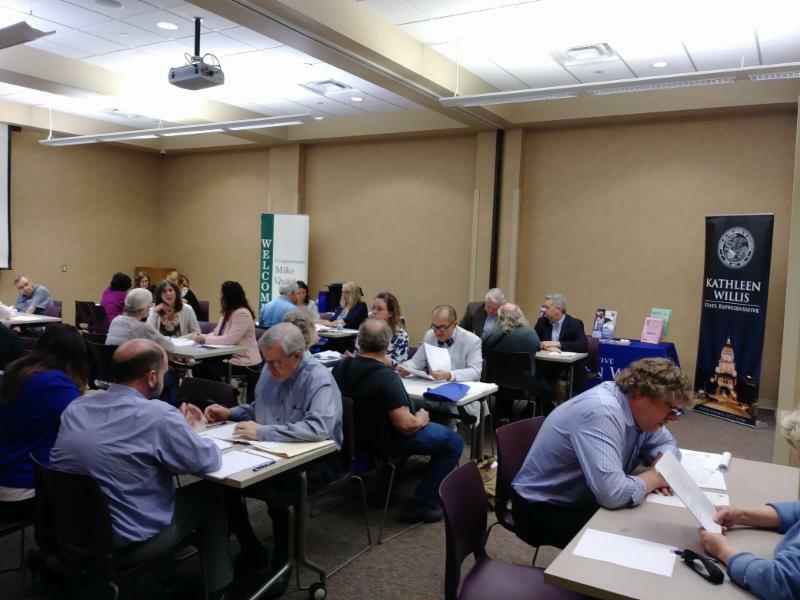 On May 2, 2018 CDEL collaborated with Congressman Mike Quigley (D-5th) and State Representative Kathleen Willis (D-77) to host a Senior Center Power of Attorney Initiative (SCI) workshop at Northlake Public Library. CDEL has worked with Congressman Quigley's office for over six years on the SCI; it was CDEL's first time working with Representative Willis. At the workshop, CDEL partnered with the legal department of Zurich Insurance on this Day of Service for the second year in a row. CDEL's Tom Wendt headed out to Zurich's headquarters in Schaumburg to conduct an early morning CLE, training 20 Zurich attorneys and legal support staff on Powers of Attorney and Illinois Living Will Declarations. At the workshop, CDEL and Zurich assisted 28 seniors. The Zurich attorneys worked in teams assisting the seniors. Representative Willis was hard at work, checking the seniors in as they arrived and speaking with her constituents while they waited to meet with the attorneys. 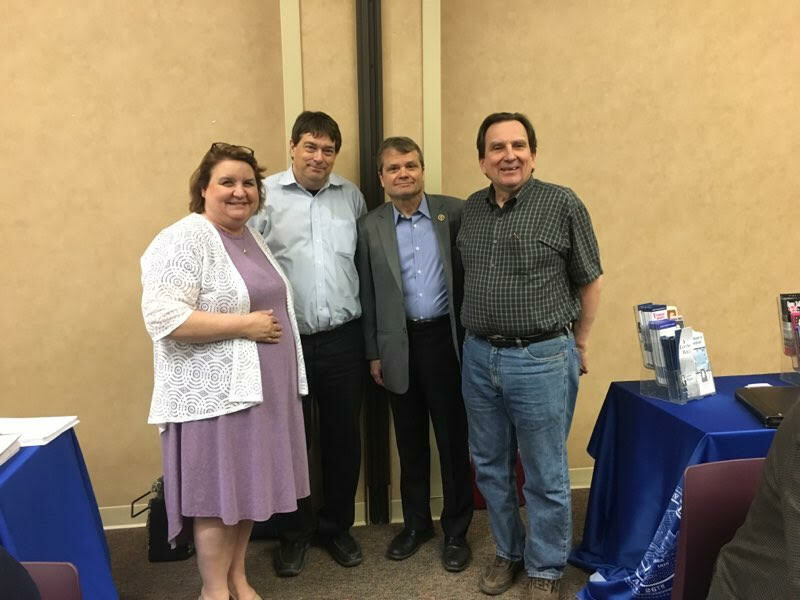 Congressman Quigley was able to fit an appearance at the event into his schedule. Even the Mayor of Northlake, Jeffrey Sherwin, was in attendance (but, no, he did not have his POAs drafted). Thanks to the combined effort of Zurich (especially Nancy Sandberg), CDEL (especially CDEL Volunteer Coordinator Mary Ann Manley) and Representative Willis' office (especially Gloria Orozco), the day went off without a hitch. In particular, CDEL would like to thank Congressman Quigley's Congressional Aide and Senior Coordinator Rosetta Sexton, who has really been a driving force behind CDEL's work with the Congressman's office. Sadly, this was Ms. Sexton's last workshop with CDEL, as she is retiring from the Congressman's staff. CDEL has enjoyed working with Rosetta and she will be missed! "It was one of the most well organized SCI workshops we have ever had," said CDEL Legal Director Thomas Wendt. "From the training at Zurich, to the bus to Northlake, to the snacks (generously supplied by the offices of the Congressman and Representative) that kept all of the seniors waiting their turn happy, everything went extremely smoothly." From left to right: Illinois State Representative Kathleen Willis (D-77th); Thomas Wendt; Congressman Mike Quiqley (D-IL, 5th); and, Mayor Jeffrey Sherwin of the Village of Northlake. CDEL is thrilled to welcome a large group of summer post graduate fellows and student interns. The fellows and interns assist CDEL all summer long with client intake, document review and representation, as well as our many community programs. 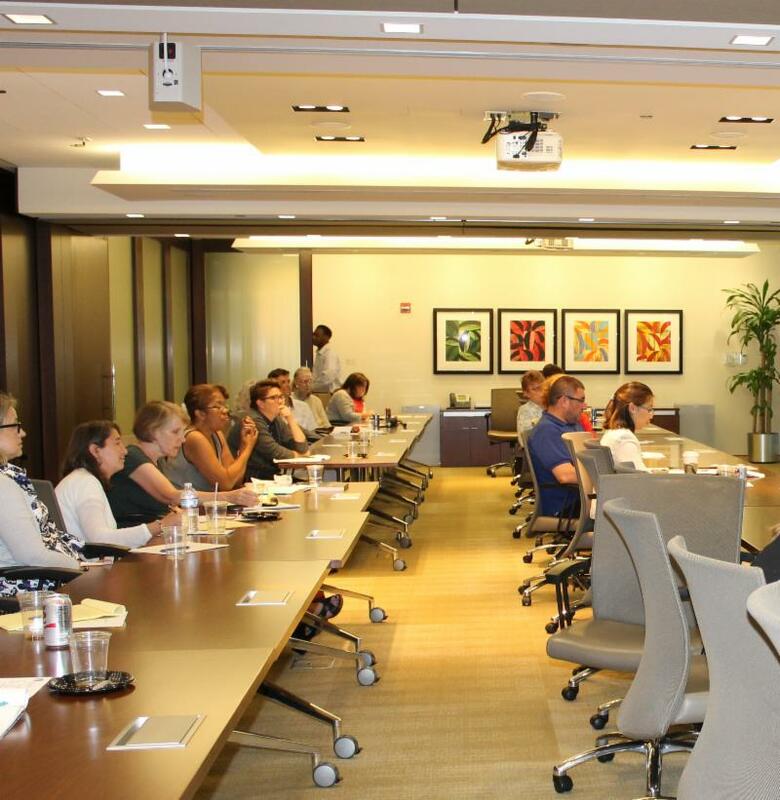 CDEL thanks our host Perkins Coie (for the second year) and the attendees who joined us for these informative sessions! Special thanks also goes to Madeline Sharko who spoke on mental health and dependency issues at the July 11 th session. This month CDEL’s Thomas Wendt was featured in Chicago Lawyer to discuss CDEL’s new Mental Health Pro Bono Pilot Program. Caroline Manley was named a 2018 Access to Justice Champion for her work on Supreme Court Rule 280. The Rule goes into effect in October and will standardize pleadings in credit card and debt buyer collection cases.